What Is the Friedman Runt-50? Who Is This Amplifier Designed for? Conclusion – Is the Friedman Runt-50 a Good Choice for You to Consider? Orange CR120C Review – Get Your Crush On! Friedman has been in the business of modifying, repairing, and building amps for more than two decades, constantly doing their best to pay attention to fine details so that they improve the quality of their equipment. Thanks to the attention to detail that Friedman provides all of their equipment, they have many fans around the world. One power tube amp that musicians rely on is the Runt-50. This is a 50-watt tube head that provides great and legendary tone. It’s a highly versatile two-channel amp driven by two EL-34s. It was released in 2016 and is great for many different music styles thanks to its power and its ability to be quickly adjusted. 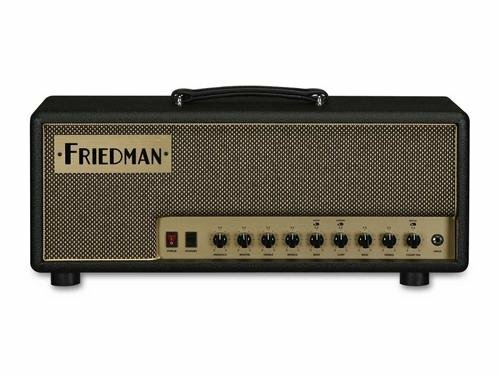 The Friedman Runt-50 is the first amp that Friedman even made that has a cab-simulated XLR output. It can easily produce the loud and clear sound that you want in a studio or at the front of the house. Even though this isn’t a particularly high-wattage amp, it still is able to offer a great bottom end, as well as midrange. This is possible thanks to Friedman using custom transformers and making a clear and clean signal path. Even when used at higher gain settings, this amp does a great job cleaning up and musicians won’t have to worry about too much distortion in their music. This tube head is perfect for musicians who play heavy metal, blues, and even classic rock. It’s a powerful piece of equipment that, due to the higher price tag, is often enjoyed by advanced musicians or professionals. While it is very easy to use and offers great sound without a lot of effort, it tends to be a little expensive for some musicians to afford. Thanks to the raw power of the Friedman Runt-50, it’s a great piece of equipment for live performances. It can also be used for recording and is sure to offer all of the power and clear tone that you demand from your equipment. However, while it’s great in the studio and on the stage, the incredible power that it offers can make it a little much to use for quiet practice. 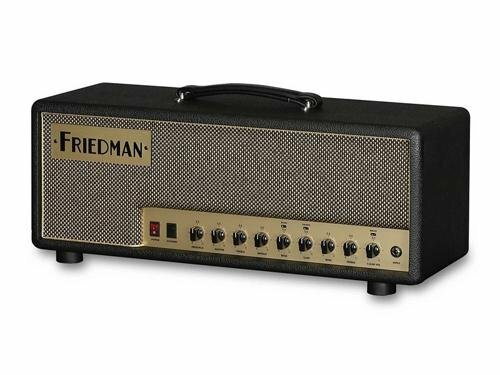 The Friedman Runt-50 ships by itself, which means that you need to have all of your necessary equipment and accessories with you when you get your amp head. It’s important to have your cables and instruments ready when this equipment arrives so that you can connect it and start playing right away. The Friedman Runt-50 features an XLR output on the back that provides musicians with an incredible tone that can mimic great digital cab-sims. In the studio, this output can be used with the miked signal or as an alternative, and it really shines on stage. The Friedman Runt-50 works really well with pedals and produces a clear and consistent sound. Additionally, it has an ultra-transparent effects loop that can handle both pedals and rack units without any problem. This amp head is designed to go on the road from gig to gig, and this is obvious in its construction. The Baltic Birch chassis was chosen for durability and how attractive it is, and the construction has been designed to make sure that the Friedman Runt-50 isn’t damaged when on the road. One alternative to the Friedman Runt-50 that you may want to consider is the Friedman Runt-20. This can have a little breakup when compared to the Runt-20 but has a built-in speaker load box. While the extra EQ on the Runt-50 is nice, the lower price on the Runt-20 can make this piece of equipment much more accessible to more musicians. It can be cranked up and doesn’t come on very strong, which appeals to a lot of musicians. The Friedman Mini Dirty Shirley is another great alternative that is worth considering. It also has a slightly lower price tag than the Runt-50 and features a three-position gain switch, as well as an effects loop. However, it only has one channel, and some musicians may want a little more power and control from their music. Any musician looking for a high-quality amp head that is versatile and responsive will want to consider the Friedman Runt-50, but only if they have the money to spend. Friedman equipment is not the least expensive on the market, but it is some of the best, which means that you are investing in your future as a musician when you purchase the Friedman Runt-50. This powerful amp can easily go from gig to gig and is great for practicing, recording, and studio work, making it a wonderful option for the musician on the go. Because it offers two channels that have separate and incredible control, the Runt-50 is great for any style of music. 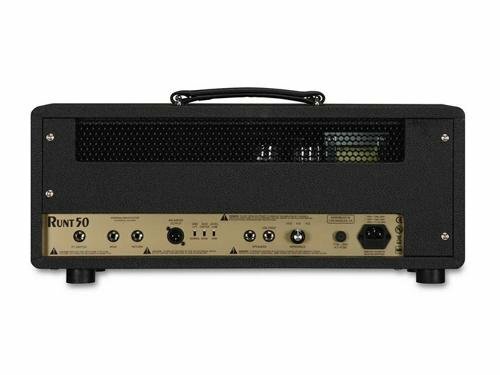 Musicians who enjoy playing clean and bright music, as well as songs with more distortion, will all enjoy the power and control that the Runt-50 offers and how easily it can be adjusted to match your desired musical style. This takes the power from the equipment and gives it back to the musician, making it a great option for you to consider when you are ready to take your music to the next level and want complete control.